Why does this happen. Every once-in-a-while, my task list grows to be about a mile long and I start blaming the APP rather than blaming mySELF. I think… if I could only find the right task management app, I would be able to accomplish all the things on my list. Why do I DO this? I need to rewrite Romans 7:15-25. I think the first verse sums it up for me: “I do not understand what I do. For what I want to do I do not do, but what I hate I do.” But — don’t they say that awareness is the first step of healing? So — please make me aware. What’s the best task management app? And — how can I make sure that it helps me accomplish all the tasks on my to do list? 10) Can Someone Tell us Why We Shouldn’t Use "OnlyOffice?" We’re trying to figure out why we wouldn’t use this app as our main way to create and view documents, spreadsheets, and presentations. Their desktop version seems solid (and, in some ways, a lot clearer?). And their cloud version can be free for qualifying nonprofits. And it’s open source, right? So we can see the security holes (if there are any), right? And wow — the price is great (free for the desktop version; free for the cloud version for qualifying nonprofits). Can someone click “comment” below this item and tell us why we shouldn’t invest in this rather than corporate alternatives? We love it that Taskade is quick, fun, and easy, yet amazingly powerful. Use it across all your devices, upload an unlimited number of file attachments (unlimited! ), invite others to collaborate with you and edit the same task list or outline simultaneously. Use tags to keep things super-organized and search for a “needle in a haystack” to find anything you want. And unlike Google docs, Taskade doesn’t get trolled for advertising revenue. There are NO ads. Use templates, multiple workspaces, and a whole lot more. Try it today. And sure, if you plan to register, feel free to tell them we sent you, but we’re already good for 12 months out in the future. The important thing is to use the app if it looks helpful. We’ve mentioned Taskade before. You can use this app as an outliner, list-maker, thought-organizer, and collaboration base. The free version gives you unlimited lists, all of which can be organized in bullets and “folded up” so you can make sense of “both the forest and the trees.” The free version also allows you to include an unlimited number of collaborators, plus you can include due dates, reminders, use templates, conduct team chats, and even do voice and video calls (all for free!). The product syncs in real-time across platforms, meaning you can start your list on your laptop in your office and continue it on your phone in the park while walking the dog (as long as your dog doesn’t mind). It will send push notifications (that actually work) to your phone and laptop as well. And there are custom mobile and desktop apps for everything you can imagine. What’s more, it’s encrypted end to end and the vendor pledges that there are regular backups going on constantly. By pitching in $84/year, you can pick up a crucial feature: global search (which works instantly, by the way) AND unlimited attachments. (The free version is limited to 100 Meg of storage.) Think about it — unlimited means 5 gigs or 5 terabytes (in 50 meg chunks, mind you) – it doesn’t matter. Pretty cool. 3) What About an App for Real-time, Simultaneous Worship Times? One would simply be broadcasting “live” at the back of the church, right? So people in the audience would log on to that live broadcast and it would be their current church service, except, someone would be contextualizing the message for the hearing crowd — in the language you need. Wouldn’t that be awesome? Are there apps to aid in such a thing? Using this technology helps us see the earth through new glasses. Can you find your house? more, we’ll start releasing items via Twitter instead of using the Brigada app. Thanks. 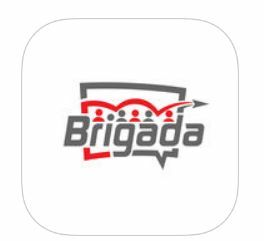 You Brigada Today participant friends are the best! 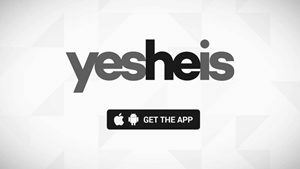 3) What if There Were an App to Help You Make Disciples in Arabic? Guess what: There already is. If you speak Levantine Arabic (the Arabic of the Levant, which is spoken in parts of Cyprus, Egypt, Iraq, Israel, Jordan, Lebanon, Palestine, Syria, and Turkey, there is a website and an Android app for you. This website and the accompanying Android app exist to support leaders at every stage of their discipleship and leadership journey with a system of easy to use resources in Levantine Arabic. They do this so that generations of whole and healthy disciples of Jesus can be developed and the glory of God more fully expressed. Now if you don’t speak Levantine Arabic, the cool part is — they at least show enough of the site in English so you can admire it. There are 351 lessons — and all of them are amazing. You can read the Arabic online or in the app, or LISTEN to it as an audio presentation. It’s really quite remarkable — and it raises the bar high for all the other languages of the world. Well done, DMMPlatformers! Thanks tons to Ed for pointing us to Affinity Designer. Yes, it’s currently available only for Mac, but for all the Windows users out there, the writers say a Windows beta is just weeks away. (You can sign up to be notified.) The great part is — it’s not a ‘subscription-based’ deal. Pay $50. Own it. For good. Love it. Looks like one of the most powerful photo-editing tools we’ve seen, but, then, we don’t use Mac — so you’ll have to verify in the comments following this post in the web version – please. 11) Need an App? Curious about How to Develop One — or Why? 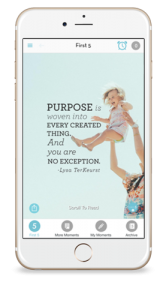 8) First 5 app: Start Your Morning Well! Available for iphone, ipad, or android. Once again, hats off to Joshua Project for helping us ‘see’ this info, regardless of the platform.